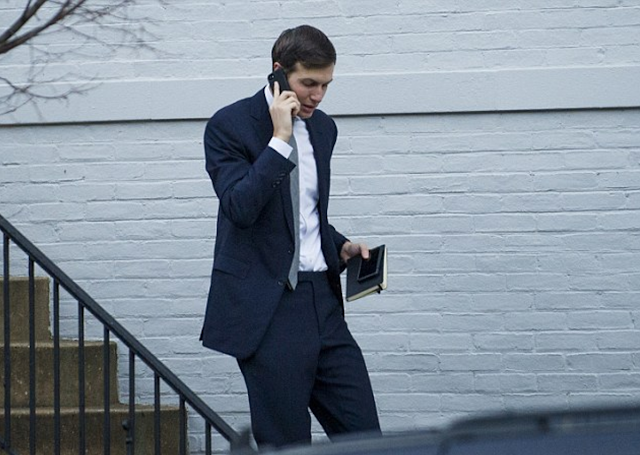 When Jared Kushner testifies before the Senate Intelligence Committee regarding Russian interference in the US Presidential Election, those questioning him would be well advised to evaluate his body language at least as much as his verbal responses. And while certainly Donald Trump's son-in-law and senior advisor won't be on his cell phone during these proceedings, the images here provide body language examples of contrasting emotional states. 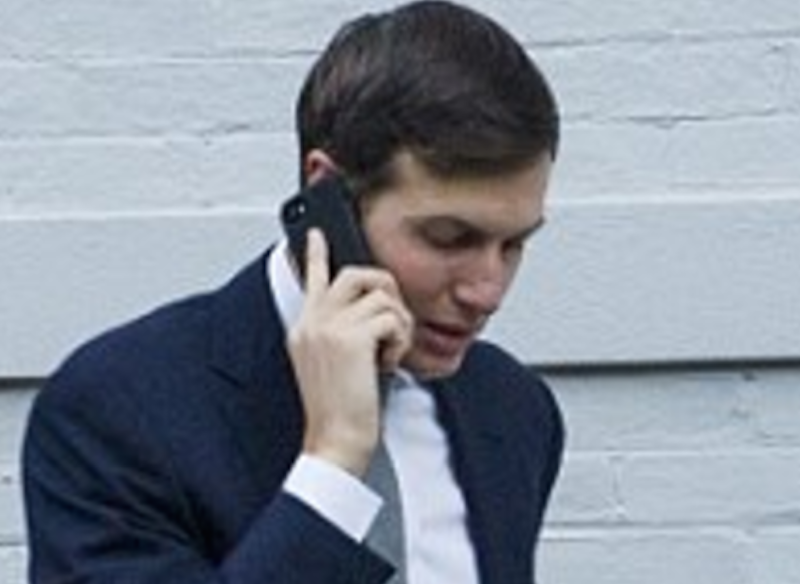 When a person holds a mobile phone with their index finger (forefinger) extended along the long axis of the phone, as Jared Kushner is doing in this image (close-up in the image immediately above of the wide angle below) they're in an alpha mental state. More specifically, they are either receiving or delivering messages which are in their favor - or they are speaking to a person with whom they perceive as a beta. 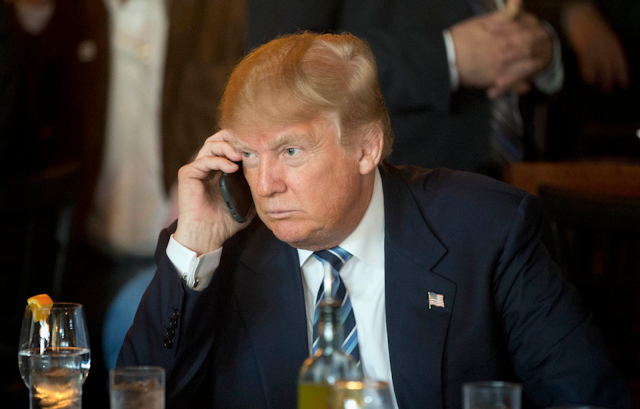 When a person holds their cell phone with all their fingers on one side of the phone with their thumb on the other side - they are in a relatively beta mental state. They are getting or delivering news which is less in their favor. And while the President of the United States has relatively few people who make him feel more beta - even the most powerful people are still human - and thus have frequent moment-to-moment fluctuations in their relative alpha-beta emotional states. Thus while watching a person as they are speaking on their phone, and you observe the index finger change position and proceed to extend up and alone - you know they've just fluxed into a higher level of confidence, assertiveness, decisiveness, and power. And when you see the index finger return back - grouped with the other fingers - they have down-regulated into a relatively beta state. The barometers of body language have many qualifiers and quantifiers - read them well and succeed.